If you are staying in Slovakia for less than 6 months and a contract is something, you do not want to deal with, then FunFón pre-paid SIM card will be a better choice for you. You do not need to go anywhere and also you do not need to worry about SIM card. You will be given free FunFón SIM card with 7 € credit together with a welcome package from ESN during your first days in Slovakia. FunFón offers you multiple services such as (calls, SMS, MMS, mobile data,) with no contract, invoices and also without a need of going anywhere. Your new FunFón SIM card is ready to use – activation can be made by first call to any number. In addition to this, FunFón has prepared for you one more special offer. Do you know exactly what you need and want? If the answer is yes, then FunFón SMART is the best choice for you. Now with FunFón SMART you have a unique opportunity to choose items (minutes, SMS, data) in your bundle, as you want. All that you need to be able to use FunFón SMART is the SIM card, that was given to you. You just choose the price you wish to pay monthly (8€, 12€, 20€) and, then you choose the items that fit you the most. 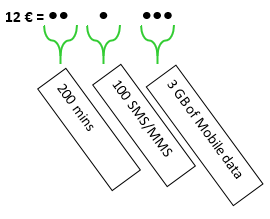 Each item costs you only 2€ (100 minutes to EU = 2€, 100 SMS/MMS to EU = 2€, 1GB of mobile data in EU = 2€). All items include calls / SMS and data in the whole European Union. You can call / text to EU for the same prices as in Slovakia. Also, you can use data in EU. In case you do not spend all (minutes, texts, and data), that you have chosen for 30 days, it will automatically roll over to the next 30 days. One top up costs 3€. 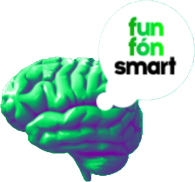 Below you can find PDF file with information on how to top up credit and activate FunFón SMART bundle.